The MBA that combines quality with flexibility for future maritime industry leaders. This MBA programme has been painstakingly designed to equip current and future maritime leaders with the skills, knowledge and tools they need to manage their business successfully. 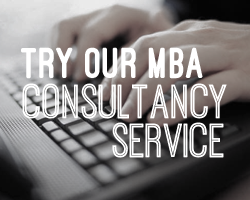 The online MBA by The Middlesex University equips you with a high level of critical thinking, enhancing and extending previous experience in business management. It also develops your ability to apply existing and newly acquired knowledge and experience to complex business issues, preparing you for leadership and transformational roles within different companies. You will be able to demonstrate a broad perspective on organisational management and its wider impact on society and the environment. For detailed course content information, contact the training provider. Request pricing information from the training provider.